Lyndsay Johnson: Tiffany, this cake's for you! Tiffany, this cake's for you! 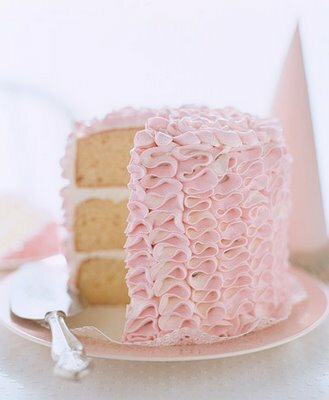 That is the prettiest cake! Also, thank you for your compliments to my cakes. Even if Marie Antoinette did not actually say "Let them eat cake" it is still a good motto, oui? Thanks for being an excellent cake tester! Hi,Lyndsay! My name is Roxanne. I just found your blog a few day ago, while on a blog stroll. I love it! I hope you don't mind if I add you to my blog list. I also like Lickable Spoon and would love to submit a few favorites. One problem, after typing and submiting my favorite Chocolate Pie, my server blocked it??? Could I email it?...or would that create trouble for you? Thanks! Ohhh fabulous! When Tiffy makes the cake call me over and I will have you down it a peice at a time! :) Mmmm!